The first shipment of British pig meat is now on its way to mainland China from a West Midlands cold store. Years of negotiations resulted in the agreement to allow the export directly to China – the largest market for pork in the world. 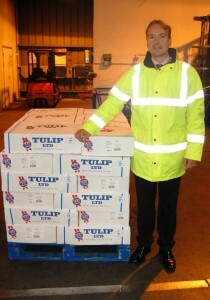 The shipment was loaded up on Tuesday and went from the Tulip cold store at Brierley Hill. 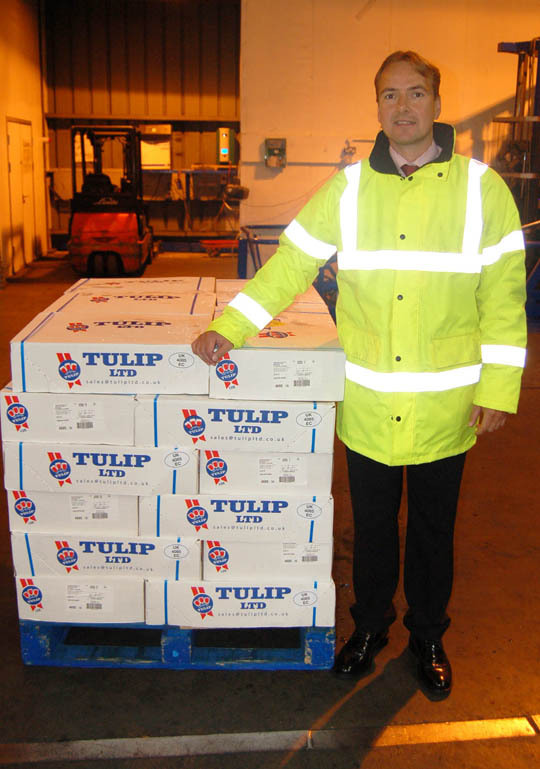 Sales and export manager Martin Sauer (pictured) said: “This is an important step not only for Tulip but also for the British pig industry. “The Chinese market is huge -the biggest in the world – and there will be scope to expand it in years to come. BPEX chairman Stewart Houston, who was involved in the negotiations to open the market, said: “It is very important to us. It is a market that could easily be worth £50 million a year in the not too far distant future.